The entire eighth grade had the opportunity to travel to Shubert Theater in midtown Manhattan to see a matinee performance of the Broadway production of To Kill A Mockingbird on Wednesday. In addition to the 153 eighth grade students, 20 faculty members, including eighth grade advisors and teachers, attended the show as chaperones. The eighth grade reads To Kill a Mockingbird every year, and sometimes classes will gather together to watch the movie. “To Kill a Mockingbird coming to Broadway was too perfect of an opportunity to miss,” English teacher Morgan Yarosh, who organized the trip, said. “Broadway shows are an incredible teaching tool, especially when they align with students’ readings,” Head of School Dr. Thomas Kelly said. Last year, the eighth grade attended Dear Evan Hansen. 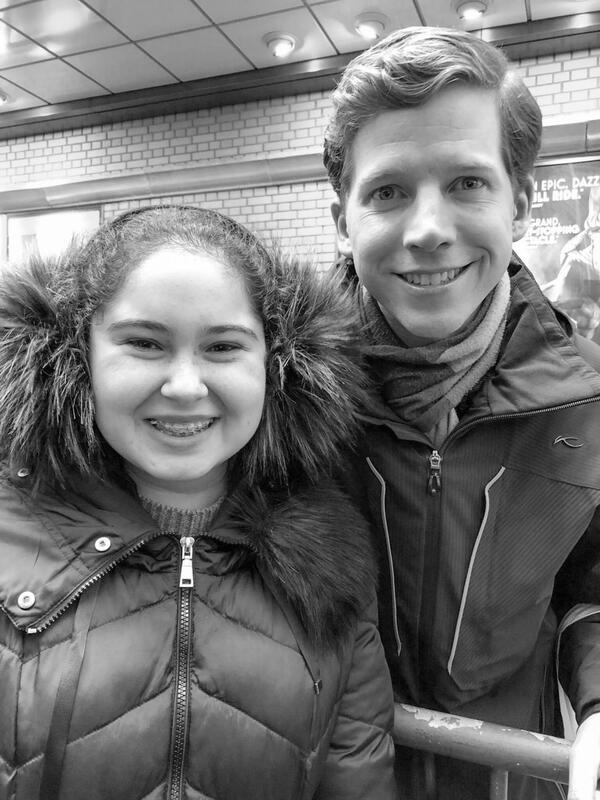 “The success we had with that trip really gave us the comfort of looking at the possibility of using one Broadway show a year as part of the eighth grade curriculum,” Kelly said. To Kill a Mockingbird was written in 1960 by Harper Lee and is set in the early 1930s. However, playwright Aaron Sorkin has adapted the production to address more contemporary issues of race. “I’m hoping to learn how interpretations of the book might differ,” Willa Davis (8) said. Since young children will be portrayed by adults, she’s interested in seeing if they’ll truly be able to access their childlike sense of wonder, she said. Students from the school weren’t the only ones in attendance. Dr. Kelly invited the seventh graders of De La Salle Academy in New York City as well. Prior to the play, students from De La Salle Academy wrote letters to characters from the novel, and these letters were distributed to the school’s eighth grade English classes. The eighth graders then had the opportunity to write back to the De La Salle students, posing as the characters. The De La Salle students received and read the letters on Tuesday. “I responded to a girl who wrote a letter to Miss Caroline, Scout’s teacher,” Willa Davis (8) said. “She asked about Miss Caroline’s backstory, and I found it both entertaining and puzzling to think about how exactly Miss Caroline would respond.” Davis was able to put her imagination to work during this activity, she said. “All of the letters were well thought-out and gave myself and my classmates the opportunity to reflect more on To Kill a Mockingbird; it was a fantastic experience,” Henry Levinson (8) said. De La Salle students chose to address their letters to a variety of characters, ranging from the schoolteacher, Ms. Gates, to Mr. Ewell, the antagonist. The range was truly remarkable, Levinson said. Yarosh was certain seeing a reenactment of To Kill a Mockingbird live would be a wonderful experience, she said. However, she also hoped the students understood how fortunate they were to have this opportunity, she said. “We want the students to know that our access to this caliber of theater is a privilege,” Yarosh said. Dr. Kelly is underwriting the cost of the play, and she hopes the students are appreciative, she said. After seeing the production, students reflected upon their initial reading of the book. The beauty of To Kill a Mockingbird is that everyone reads it differently, Levinson said. “The production did not deepen my previous understanding of the book per se, but it made me think about the other equally intriguing ways of analyzing To Kill a Mockingbird,” he said. Instead of trying to incorporate every single supporting character’s role, the director chose to develop the personality of a few specific characters, Yui Hasegawa (8) said. She appreciated the emphasis the production put on Dill’s character, she said. However, she thought the production overemphasized the trial, and in doing so neglected details central to the book, Hasegawa said. Though he originally had seen the book as a series of approaches for finding oneself at odds with the majority, after seeing the play, he became more intrigued by Calpurnia’s story, Lewinson said. “Discussions of the book and its themes, including those centered on racism, also fit perfectly with the upcoming Unity Week celebration,” Kelly said.